How would you spend your Sunday with your friends and family? Normally I would have a lovely brunch with them in the beautiful Sunday. 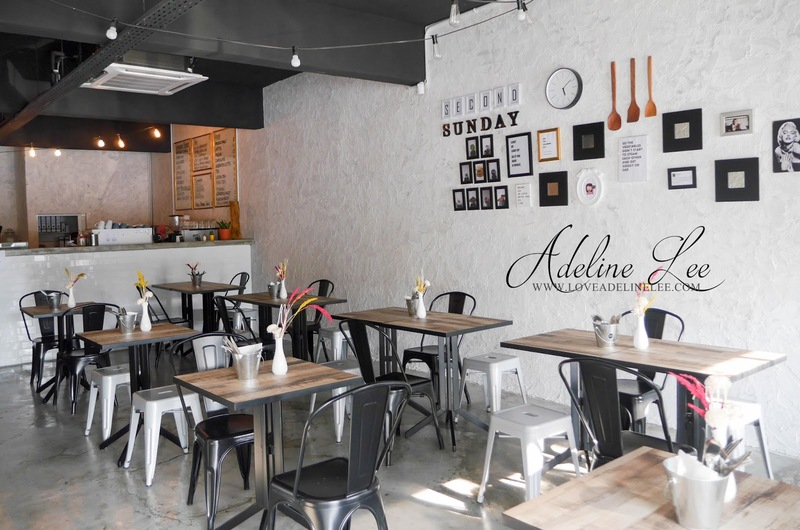 Introducing Second Sunday, a place to have delicious breakfast and brunch with your love one. 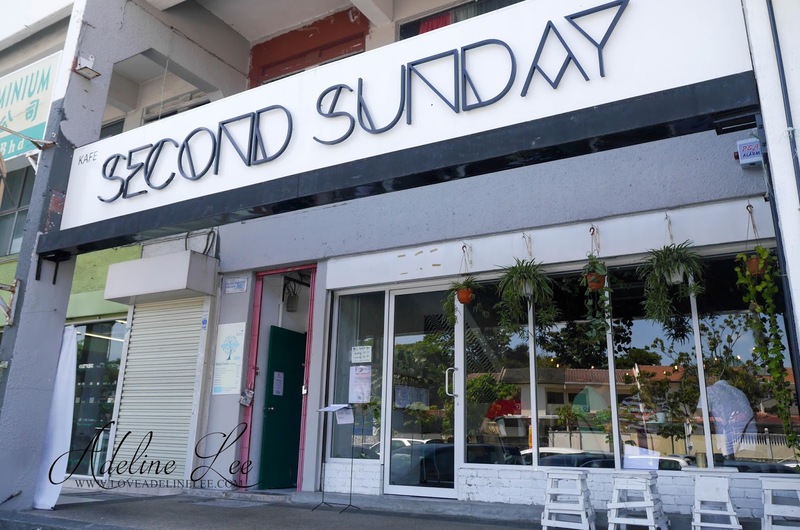 Second Sunday is located at Damansara Jaya which is near to Atria Mall. The interior design is simple and nice. Cozy environment with simplicity black and white decoration. 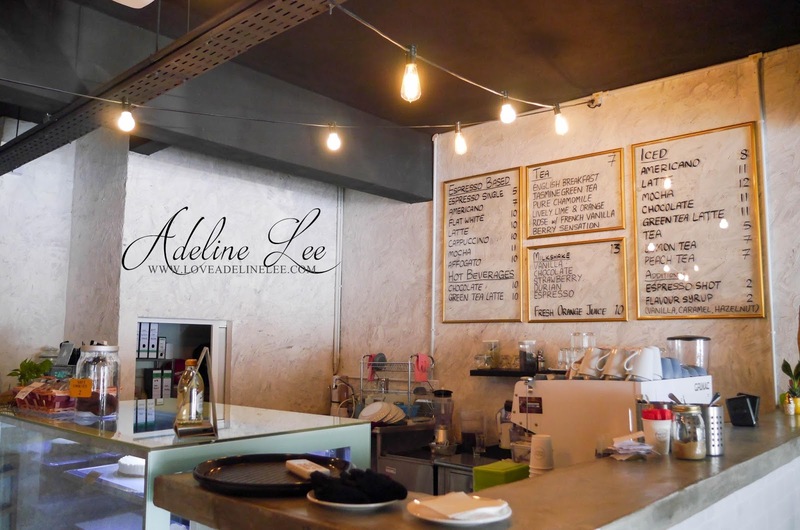 Second Sunday serving different kind of breakfast, brunch, lunch and dinner as well. Second Sunday colorful healthy breakfast always cheering up my day in its own way. 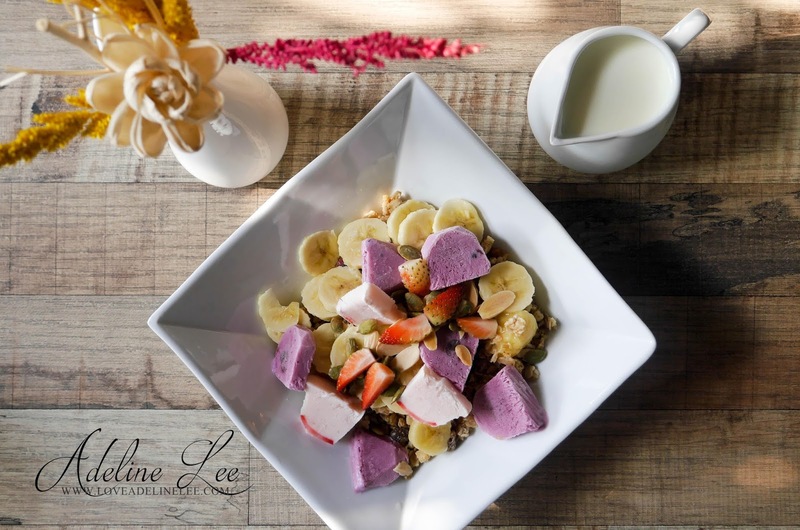 It is the best to start up your day with this Frozen Yoghurt With Muesli. 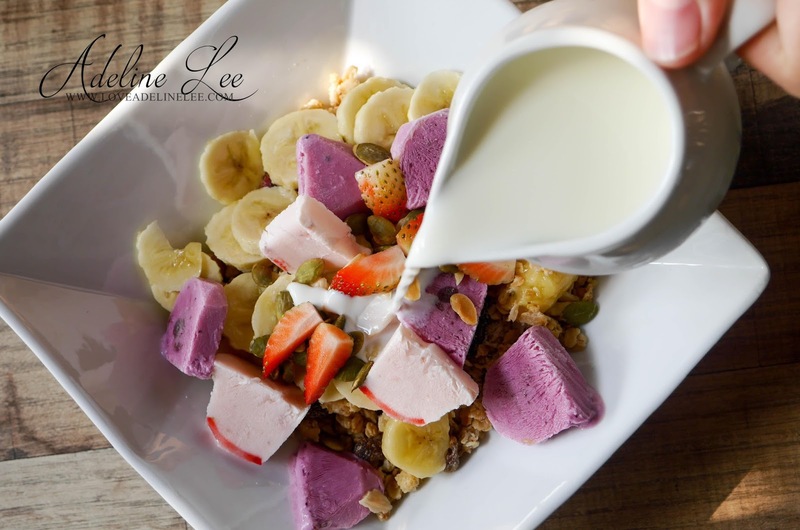 It is a bed of muesli topped with frozen yoghurt accompanied with fresh assorted fruits served with chilled cold milk on the side. The sourness of the frozen yoghurt make the best combination with all the sweet fruits. As I said, Second Sunday breakfast always cheer you up. 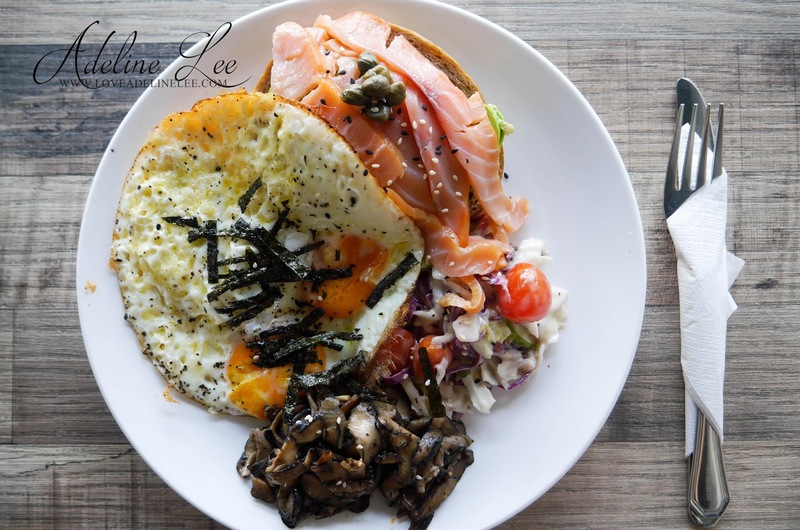 This Sunny Side Ups breakfast cheer my Sunday up with its colorful and healthy ingredients. Double sunny side ups in this plate laced with crispy cheddar cheese served on toasted rye with my favorite avocado slices and smoked salmon. Besides that, everything goes well with their side dish in the plate which is sautéed herb mushrooms topped with seaweeds and sesame seeds. The whole dish is satisfy your tummy and give you lots of nutrient. Complete your beautiful Sunday with Second Sunday Local Pankek. 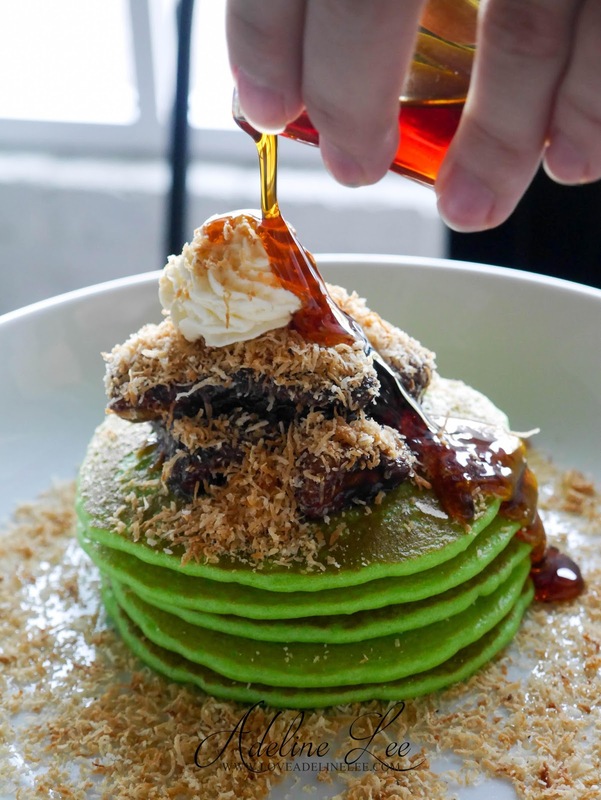 It is a very local breakfast that made up with Pandan and coconut pancake topped with caramelized bananas and toasted fragrant desiccated coconut. Local Pankek is served with gula Malaka syrup and whipped cream. It is not too sweet and the portion is big. 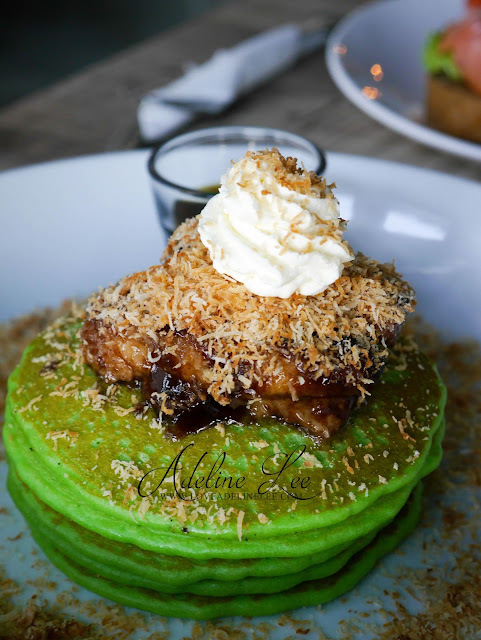 It is truly a classic Malaysian kuih flavor. The food looks amazing especially the Sunny Side Up! I love smoked salmon and the portion looks huge! I love salmon too! High five! Yup! the portion is really huge! 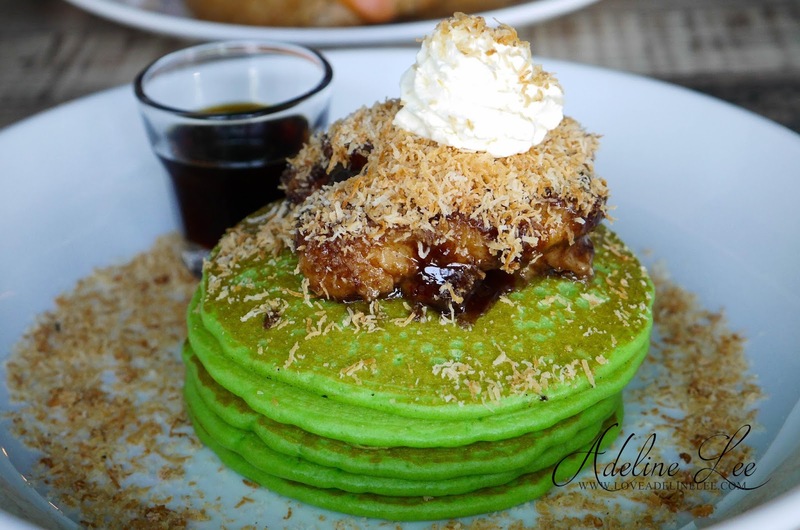 I love the colour of the green pancake and i am sure it is tasty too. There are 5 pieces of pancakes and it is good for two. Frozen Yoghurt with Muesli attract me a lot as I love Yoghurt. This one I will definitely try. I am agree with you. And it is food heaven! The Sunny side up looks so delicious. 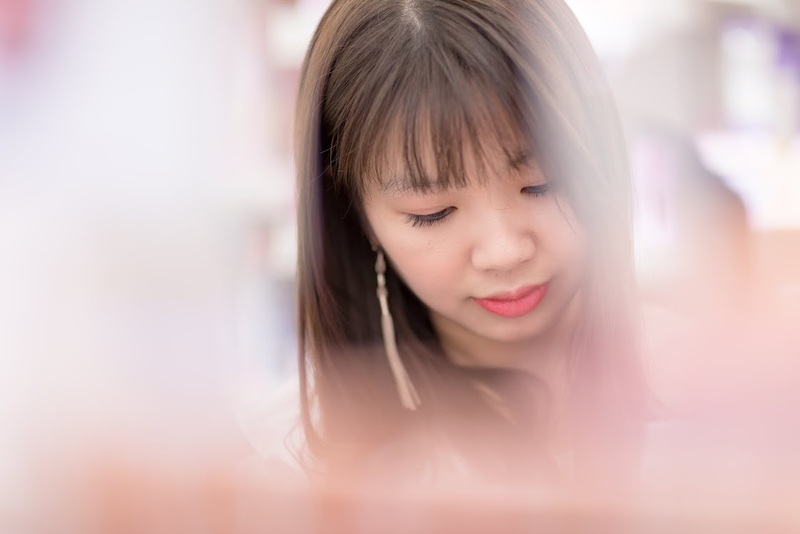 Your photography is simply amazing. go go go go and try it! Wow.. food looks so fresh and colourful. Food for the eyes as well as the tummy! Yup! I like it so much! 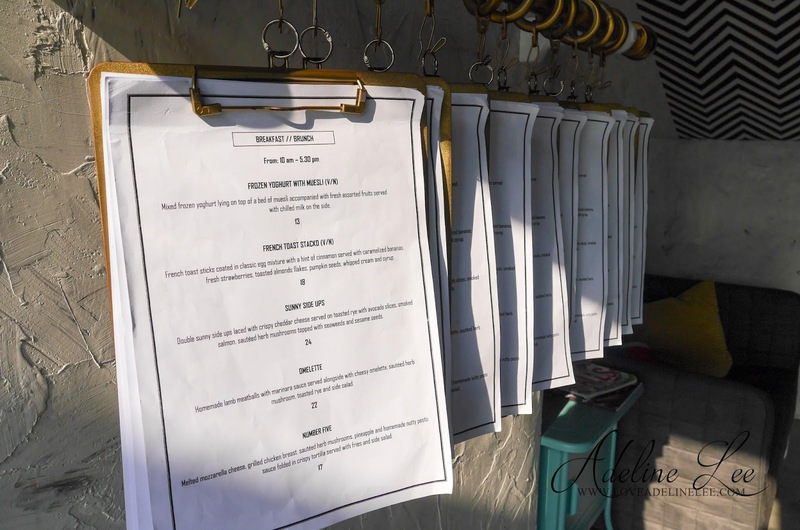 Love your photos, I am going to try to my my own the Frozen Yoghurt with muesli at home. Looks healthy and lovely too. Always been wanting to visit the cafe, am very interested with the pandan pan cake! May I know what's the purple thing in the muesli? thanks! Local Pankek looks delicious and top with gula Malacca which mades it perfect. My Little Angels sure love it. I bet kids will love this. From photos, it is difficult to tell if they are delicious. However, the presentation of the dishes are really classy. The ambience looks comfortable too. Yup! I like it the most! Sometimes I will pass by this place, inside always crowded then. The food presentation look so pretty! It's always crowded. >< I prefer go on weekdays. Your pictures are so beautiful.. Heard of this place before. Shall head down there soon for their sunny side up if I am ever in the area. Salmon are seriously the best. Thanks babe! I love salmon too! I am a big fans of it! beautiful pictures as always. Would try this soon, I love my sundays, and having a second sunday would be awesome! the sunny side ups dish looks messy but delectable! 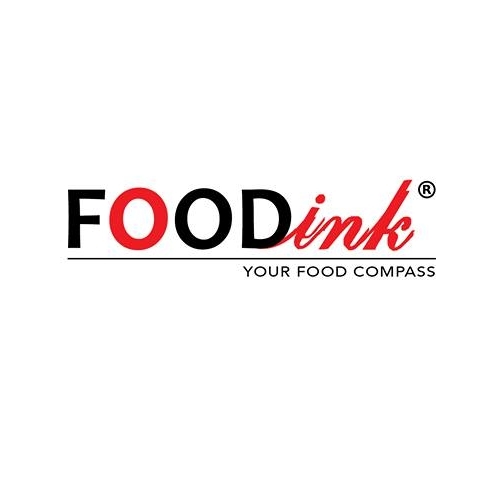 some bright colours they use in the food. 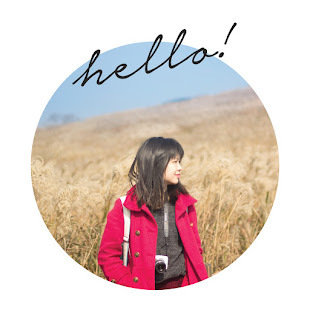 i love this kind of nice and simple deco too. I know right! It is simple and nice!